With the rising demand for natural medicines, cannabis compounds such as CBD and THC are becoming more and more popular due to the wide range of health benefits that are associated with them. If you know anything about the cannabis plant, you will know that two main components pretty much drive the physiological processes of the plant: CBD vs THC. But, are you aware that the cannabis plant is home to hundreds of chemicals, and among these chemicals are more than 100 different cannabinoids? The most well-known and unquestionable stars of this selection are THC and CBD. 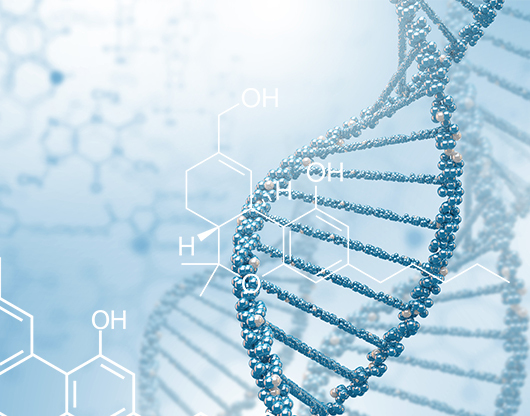 While the close connection between these two cannabinoids may lead some people to think that they affect the body in the same way, a comparison done between the molecular structure of the two has revealed the exact opposite. In terms of the THC vs CBD argument, both compounds are derived from the cannabis plant — even if they are different in many ways. 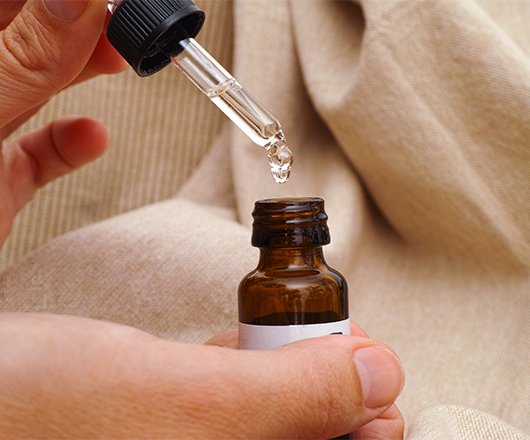 Firstly, CBD is primarily found in extractions from the hemp plant. It’s sold in gummies, oils, gels, supplements, and more. THC, on the other hand, is the main psychoactive compound found in marijuana, and responsible for making users high. While it’s often smoked, it can also be found in edibles, capsules, tinctures, and more. But this is only the beginning when it comes to the difference between these two cannabinoids. Read on to explore more about these two popular compounds and how they differ from one another. If you weren’t already aware, THC and CBD have the same chemical makeup; 30 hydrogen atoms, 21 carbon atoms, and 2 oxygen atoms. In theory, the two are almost identical twins. It’s the arrangement of one single atom that differentiates the two. For anyone who wasn’t paying attention in chemistry class, an atom is described as being about a million times smaller than one human hair. So we really are talking about a tiny difference here. Essentially, it all comes down to the endocannabinoid system (ECS). The ECS is a network of receptors that interact with cannabinoids to support vital functions throughout the body. To date, only two cannabinoid receptors have been discovered: CB1 and CB2. CB1 receptors are found primarily in the brain and are responsible for physiological and mental processes like high cognition, emotion, memory, and motor coordination, while the CB2 receptors can be found throughout the immune and central nervous systems. By interacting with the CB1 and CB2 receptors, cannabinoids, like THC and CBD have the potential to induce the many health benefits associated with them, such as pain relief, appetite stimulation, anxiety relief, mood management, and more. This is where the differing positions of that very small atom come into play. Since CBD and THC don’t have the same molecular structure, they don’t interact with the CB1 and CBD receptors in the same way. This tremendously differentiates the effects that each cannabinoid has on the body. On the contrary, CBD doesn’t bind directly with the CB1 receptors. It works indirectly, and its presence has even been found to negate the bond between THC and CB1 receptors, meaning that CBD could neutralize the psychoactive effects brought on by THC. While there’s no doubt that THC offers some incredible health benefits, it’s mind-altering effects aren’t enjoyed by everyone. On the other hand, CBD can deliver plenty of the same benefits as THC but without inducing any psychoactive effects. As mentioned above, the THC vs CBD “argument” becomes diluted just a bit when you realize the two compounds offer many of the same medical benefits. They can both provide relief for many of the same conditions, but CBD doesn’t come with any psychoactive effects. A lot of people prefer to use CBD because it won’t make them high. In June 2018, the FDA approved Epidiolex, which is the first prescription medication to contain CBD. It’s used to treat rare and difficult-to-control forms of epilepsy. CBD became the most famous for treating a very rare and debilitating form of epilepsy, known as Dravet syndrome. It’s a condition that is notoriously resistant to all currently approved treatment methods. CBD is the only known treatment for the condition and has therefore made a real name for itself in the medical community. CBD is also used to help treat other conditions, including pain, inflammation, nausea, migraines, depression, anxiety, and inflammatory bowel syndrome (IBS). While THC is best known for its mind-altering euphoric effects, it also has some important medical benefits. There’s a bit of an overlap in what conditions THC and CBD can treat, but THC is especially effective in treating insomnia, appetite loss, and relieving nausea. THC is also used to treat Glaucoma, muscle spasticity, and pain, among other things. The issues of legality for both THC and CBD and cannabis as a whole for that matter are regularly evolving in the United States. But all forms of cannabis are illegal in states where it hasn’t been legalized. 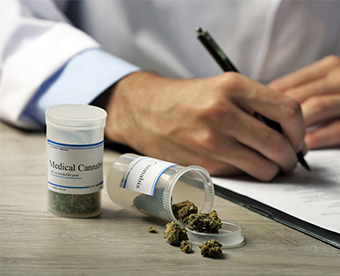 Marijuana and THC are listed as controlled substances, so they are prohibited under federal law. CBD is still in an unestablished area of the law, but from a legal perspective, it’s much safer to use. 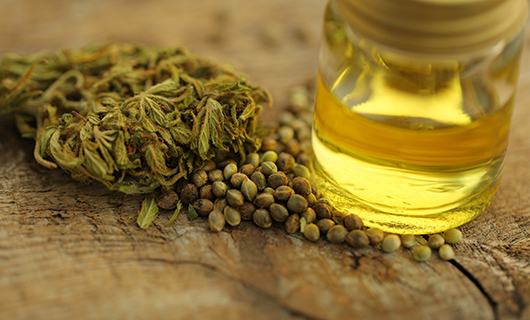 Under the US Farm Bill of 2014, CBD that is derived from hemp is federally legal. Although this is a federal law, it doesn’t legalize CBD that has been derived from marijuana, and it doesn’t overrule state law. 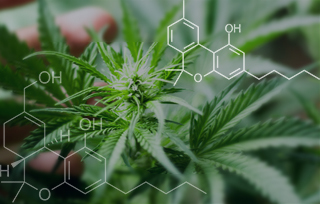 Since states can make their own laws pertaining to the use of CBD, and the distinction between marijuana and hemp is still very much unclear to many, the legality of CBD between states is very confusing. Many states, including Washington DC, have passed cannabis-based laws which make medical marijuana with high levels of CBD legal. However, marijuana might need to be prescribed by a licensed doctor. Furthermore, there are quite a few states that have made the recreational use of marijuana and THC legal. However, it still remains illegal federally. It’s very important that you stay familiar with the cannabis laws in your state. In states where recreational or medical marijuana is legal, you should be able to legally buy CBD. In some states, laws have been passed which makes CBD legal for medicinal purposes. Remember, CBD doesn’t need to originate from marijuana, and it’s legal when made from hemp. For a long time, recreational users have been fans of consuming cannabis that has high levels of THC. Just like people who enjoy a beer or two over the weekend, recreational fans enjoy THC because of its mind-altering and psychoactive effects. It can deliver a euphoric or mellow high, depending on which strain you prefer. THC can enhance the senses and stimulate the appetite, but it could also impair motor skills, cognition, and distort one’s sense of time. While THC should be considered good for the most part, it’s important to know that in some people, it could cause negative effects, such as paranoia or depression. It ultimately depends on the person and their tolerance, among a few other factors. CBD is considered to be a safer choice than THC. 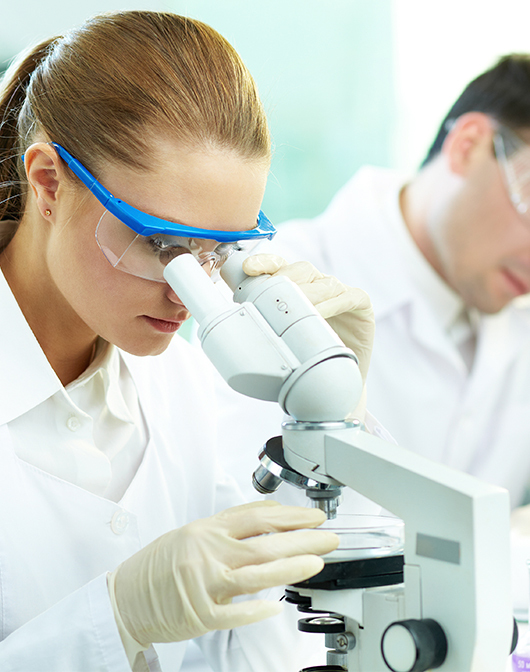 While scientists insist that more research needs to be done on CBD, there’s no doubt that this is the most popular cannabinoid when it comes to medical cannabis and its uses for treating a variety of medical conditions and diseases. Is There THC in CBD Oil? So you’ve probably either seen it for yourself or heard people talking about it. The presence of THC in CBD products. We already know that CBD and THC are the two most prominent cannabinoids of the cannabis plant. Both hemp and marijuana THC and CBD. However, hemp has a much higher concentration of CBD, while marijuana has a much higher concentration of THC. Since hemp contains more CBD in comparison to the low levels of THC, it’s the perfect source for CBD oil. Today, the average marijuana strain contains about 12% of THC. There can be no more than 0.3% of THC in CBD. But, CBD oil and other CBD products may contain small traces of THC because it’s present in the hemp plant. THC and CBD share many similarities, but in a lot of ways, they are also very different. But what’s important is that they both have medical benefits. It’s not a matter of one being better than the other. Both cannabinoids offer incredible health benefits, and either one or both of them could provide the relief that you are looking for. At the end of the day, it all comes down to preference and what effects you are looking for. We hope that this comprehensive guide on CBD vs THC has been helpful for you, and we hope that we have been able to explain the topic in a simple manner and answer many of your questions along the way. Thanks for reading, and be sure to leave a comment below if you’ve got any additional insight or inquiries! Quinn from Ashburn just bough! Juliette from Ashburn just bough! August from Ashburn just bough!